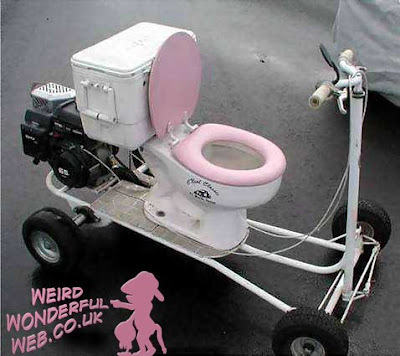 Toilet on wheels - for bowel movements on the move! That's right folks! You read correctly. November 19th is World Toilet Day. In fact World Toilet Day has a serious message. November 19th was the founding date of the World Toilet Organization (WTO) and so they declared it World Toilet Day to raise awareness of their cause. Which is to improve toilets and sanitation conditions worldwide. Sim Jae-Duck (toilet duck, lol), chairman of a very similar organization called the World Toilet Association (WTA) built a giant toilet sized house last year in Suwon, Gyeonggi-do (Province) to commemorate the WTA's General Assembly in Seoul that year. The toilet-shaped house is called "Haewoojae", which means "a place where one can solve one's worries," (a euphemistic expression describing a toilet). 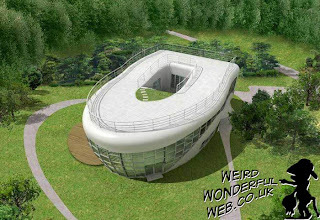 It was also registered in the Guinness Book of Records as the first and largest toilet-shaped building in the world. 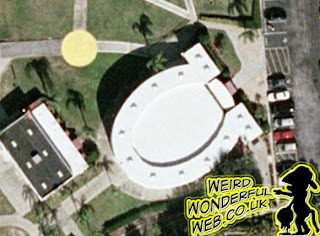 But saying that, there are also the images appearing on Google Earth, of a giant toilet-shaped building in Orlando, Florida. It's a birdseye view only of course and the more I look at it, I can't decide whether I think it's meant to look more like a giant horseshoe on the roof. A month ago the UK newspaper The Mail On Sunday did an article called "Loo with a view: The world's toilets with the best vistas". The article has some good photos of toilets around the world with weird and wonderful views. 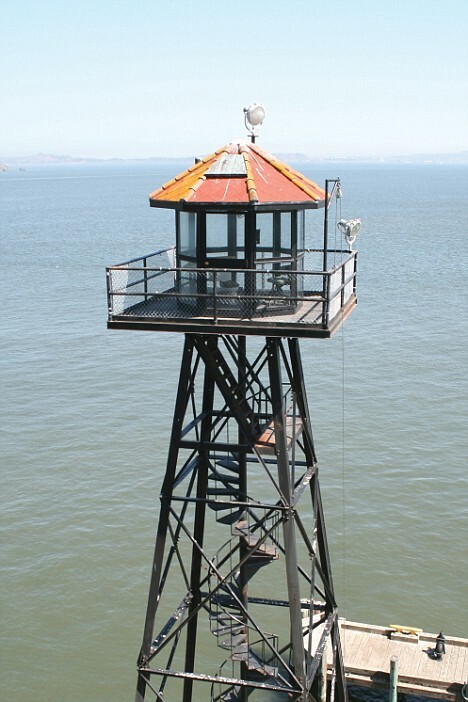 My favourite being the watch tower guard's toilet in Alcatraz. One of the other great toilets they mention, is the toilet built inside an aquarium at the Mumin Papa Cafe in Japan, as seen in this video below. But if you thought that having a toilet inside an aquarium was weird, how about the other way round? 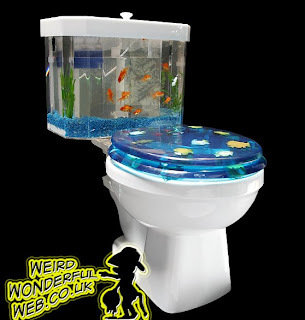 How do you feel about having the aquarium inside your toilet? Well if that sounds like your sort of thing, then you can purchase your very own aquarium-in-a-toilet from the guys at Fish 'n' Flush for just $299. Although, seeing as the toilet is the last place a goldfish usually ends up, it could be thought of as a beautifully illuminated death row for goldfish. Haha.